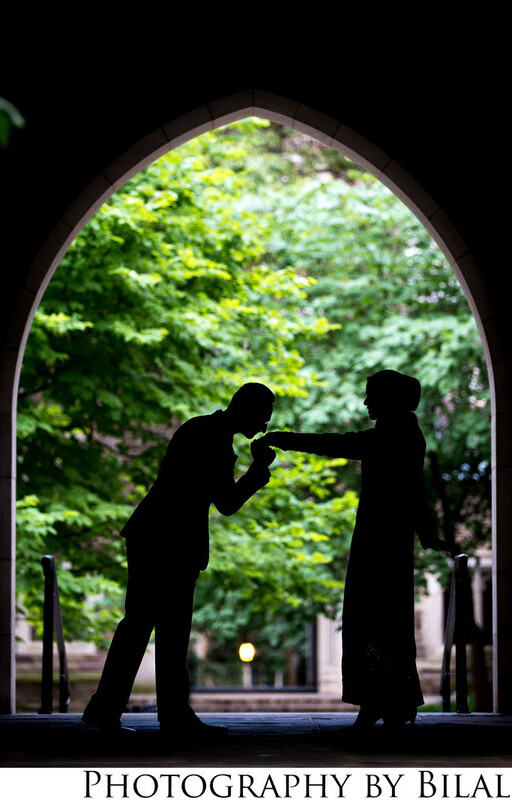 I love shooting engagement photos at Princeton University! The university has so much to offer, you can never go wrong with this location. Not only do we get the whole entire campus (which by the way is huge!) but we also get to shoot at downtown Princeton which has some great photo spots as well. This was one of my favorite shots from the session. I love shooting silhouettes, so whenever I see a background that is brighter then the foreground, my first thought is always to create a silhouette. Since I am exposing for the background, the subjects and everything in the foreground (wherever there is less light) go black because they are being under exposed. And you have to be very careful with a silhouette-if the bodies are not separated like you see here, then it just looks like one big blob and you can not distinguish between the two subjects. You are basically creating an outline, so I try to visualize in my head what would look good. Bringing the girl's hand near the boy's lips worked perfectly, if the hand were to touch the lips, we would not distinguish between the boy's face and the girl's hand. I also had the boy move on leg behind the other, so it doesn't look like he has one leg. As a professional, this is just one example of what I look for to create stunning images for your engagement session.